The aquafil Fresh Indoor Drinking Fountain is a Stainless Steel Wall Mounted wheelchair accessible single water cooler. It is one of the most popular indoor drinking fountains available and has an extra deep basin that minimises splashing and an internal drain. The Fresh Indoor Fountain offers easy touch push bars or sensor activated controls and comes with a Flexi-Guard Safety Bubbler. 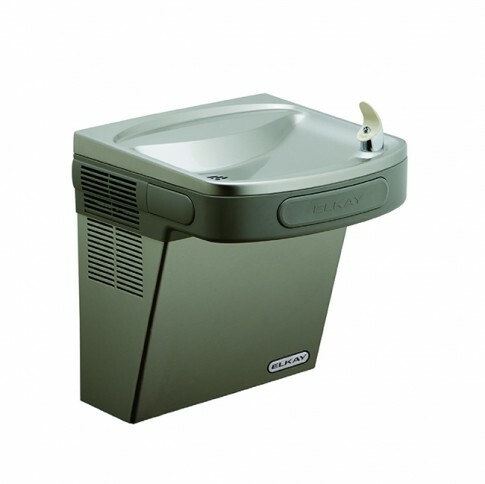 This drinking fountain is wall mounted an ideal for indoor use. The benefits of a public indoor drinking fountain include saving money and reducing the amount of plastic waste that ultimately ends up in landfill, oceans and waterways causing enormous damage to the environment. By promoting a sustainable way of living and encouraging a healthy lifestyle, the aquafil indoor fountain unit is a dynamic educational tool in the fight to reduce plastic waste and conserve precious resources resulting in a cleaner, greener planet for future generations.